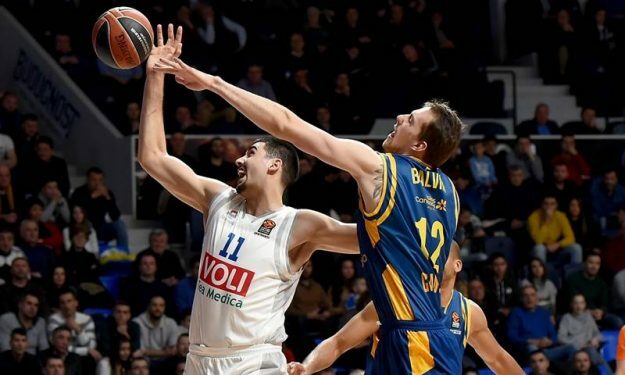 The EuroLeague is looking for its next big star and Eurohoops picked out the players that are expected to contend for this season’s Rising Star award. Who will be Luka Doncic’s successor? The Mavericks star left Europe after first winning everything with Real Madrid, all the trophies and individual awards. Perhaps the most… unnoticed is the Rising Star award. And it’s a fact when we’re talking about an 18-year-old that emerged as the MVP of the regular season and the Final Four! At any rate, the new… next protagonist is being sought and, with the regular season having almost come to its end, the time has come to see the players that will add their names to the list of the award’s winners. Let’s not forget that this list is full of brilliance. A few names will convince you: Andrea Bargnani, Danilo Gallinari, Ricky Rubio, Nikola Mirotic, Bogdan Bogdanovic! This season, a total of 22 players meet the age criteria to compete for the top spot, with Goga Bitadze and Georgios Papagiannis standing out. However, there is plenty of talent among the younger ages and every week basketball fans have the chance to enjoy some of tomorrow’s protagonists.